England will be wary of the threat posed by Croatia veteran midfielder Luka Modric when the teams meet in their FIFA World Cup semi-final on Wednesday. England will be wary of the threat posed by Croatia veteran midfielder Luka Modric when the teams meet in their FIFA World Cup semi-final on Wednesday, according to players Eric Dier and Ashley Young. England progressed to the last four of football’s flagship tournament for the first time since 1990 with a 2-0 win over Sweden on Saturday while Croatia advanced by overcoming hosts Russia on penalties, reported Xinhua news agency. 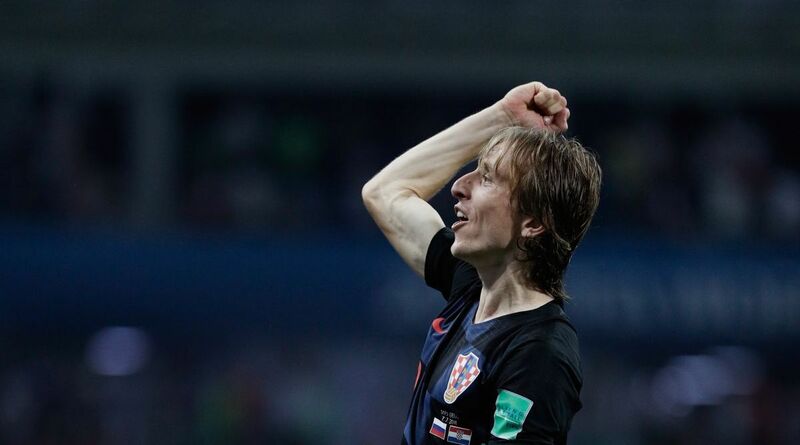 Real Madrid playmaker Modric has been in sparkling form for Croatia, leading a midfield that also includes Barcelona’s Ivan Rakitic and Inter Milan’s Ivan Perisic. “Luka Modric is a fantastic player but they have players around the squad who are going to be difficult opponents,” England and Manchester United full-back Young told reporters here on Monday. “Croatia are a very good team. They are not in the semi-final for no reason. We have got to be prepared for them,” he added. His teammate Dier said Croatia’s entire midfield deserved respect ahead of the match at Luzhniki Stadium. “Modric and Rakitic are world class players in their positions that have been playing at an extremely high level for their clubs,” the Tottenham midfielder said. “I’ve never played against Rakitic before so it’s difficult to observe as much. But I’ve played against Modric twice this year and obviously everyone knows from his time in the Premier League that he’s a fantastic player. He can create magical moments and he’s been one of the outstanding performers so far in this World Cup. Croatia are vying for a place in their first ever World Cup final on July 15 while England are hoping to feature in the title decider for the first time since 1966. “We are just focusing on the semi-final right now, like we said before we are just going game by game,” Dier said.